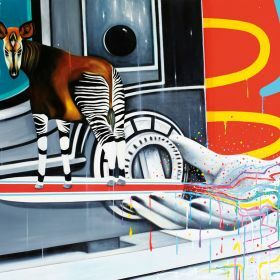 Jaisen Yates' first solo exhibition, described by Yates as "a psycho visualistic qualia for the curious throng". 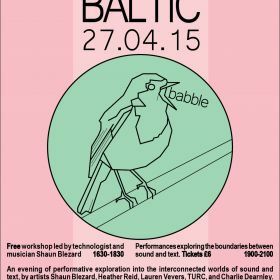 An evening of performative exploration into the interconnected worlds of sound and the written word inspired by artist Tony Swain’s disruptive use of text in his BALTIC show. Using a mix of digital technology, improvisation and play, publishing house, UnStapled Press, The Occasion Festival and musician and artist, Shaun Blezard will explore the transition of text into sound and how to translate it back again. Breeze Creatives presents New! 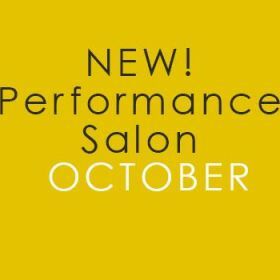 Performance Salon - OCTOBER Curated by Constance Humphries.